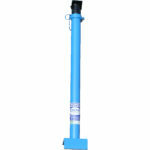 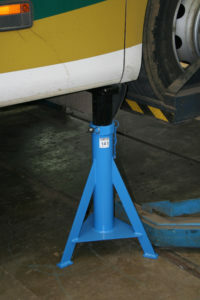 The SEFAC TBE 523 stand has a unit capacity of 14 tonnes and an intermediate size (695 – 1120 mm). 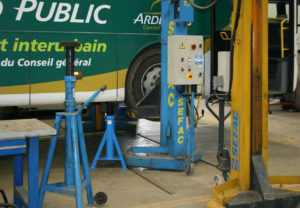 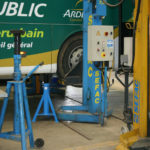 It’s typically used during the maintenance of tyres, brakes, bearings, steering, etc. 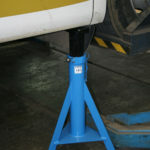 Stands ensure the safety of operatives during all hydraulic lifting operations. 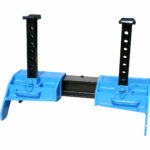 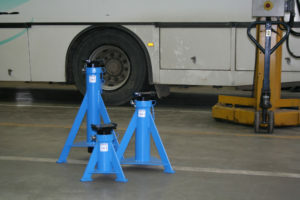 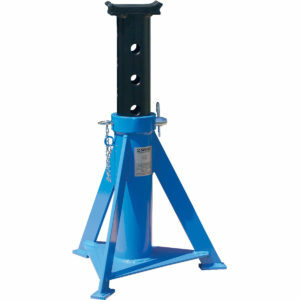 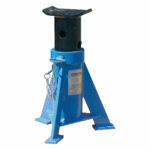 Support stands are therefore indispensable in your workshop. A genuine safety tool, its use combined with a jack, pit side jack or wheel dolly ensures working in complete safety and guarantees the answer to your needs.